Is anyone excited about the second half starting? 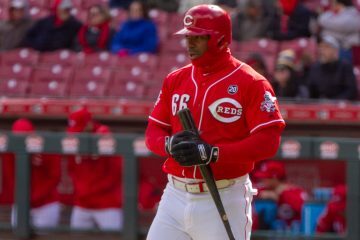 Here’s the midseason report from reds.com, but I can barely stand to re-live the first half. Also, take a look at Marc Lancaster’s second half preview, and here is John Fay’s piece. Third baseman Joe Randa, who has been a stabilizing force offensively, defensively and in the clubhouse since Day One, almost certainly will be moved to a contender in return for a prospect or two. 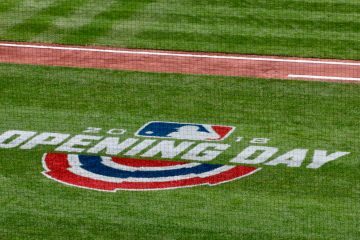 Others could follow, with infielder Rich Aurilia, relievers Kent Mercker and David Weathers and one of the young outfield trio of Adam Dunn, Austin Kearns and Wily Mo Pena all possibilities. Comment: See a name missing from this list? Pay half his salary and get him off the team. He may be worth it to some team at 4 million a year, just not 8. This team should be doing everything in its power to move him. NOW!!!!!!!!! Another thing, Why would they want to move one of the young trio anyway? Isn’t that how you build great teams, keeping your really good kids together. I know its the nature of the business, but I’m going to miss Randa being the Reds’ thirdbasemen. He’s done a heck of a job all year. He’s also been above all the crap that comes with losing. He just goes out and does his job every night. I hope the Reds get something in return. I don’t want to jinx him…but Harang is pitching a great game. The Reds just HAVE to keep Adam Dunn. If he’s traded away because he strikes out and doesn’t hit sac flys, then the team is being run by escaped lunatics. The Reds could still keep almost all of their position players and sign some DECENT free agent pitchers. Unfortunately, to do that I’ve reconcilled myself to the fact that Casey will probably have to be traded to clear away some salary. Its a dammed shame. But could you imagine what kind of team the Reds would be with the starting lineup they have now AND a pitching staff worth a damn. I’m not even talking about a great pitching staff, just a middle of the road staff! If I were only king! I’m fine with a salary dump if only Casey is involved. No reconciliation needed here.